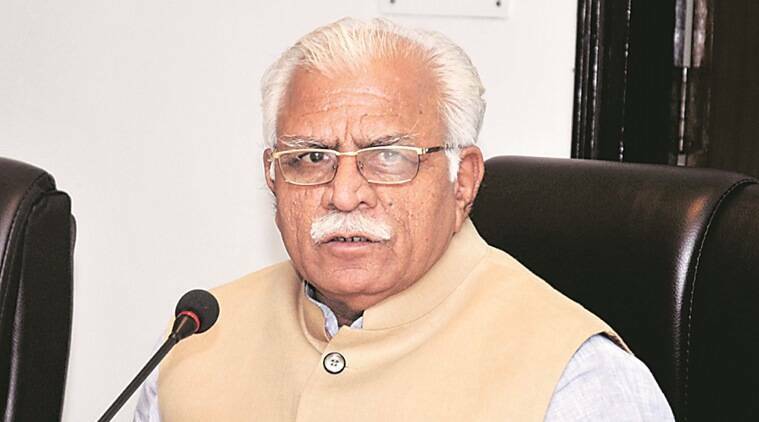 With an aim to promote value-based ancient Gurukul education system in the state, Haryana Chief Minister Manohar Lal Khattar Tuesday announced that the state government would provide land free of cost to those gurukuls which would provide free education to children. Besides, it would also assist in making all necessary arrangements required to run such gurukuls including teachers. Khattar made the statement while speaking as the chief guest in programme on ‘relevance of the gurukul system in the present era’ organised by Panchnad Shod Sansthan, Chandigarh. Khattar said that the state government has taken several steps for bringing about a qualitative change in the education system. A major chunk of the state budget is spent on providing free education to children. Now, the state government has also constituted a 21 member State Higher Education Council under the chairmanship of Prof BK Kuthiala, to create an enabling environment for promoting academic excellence. He also advocated abolishing the no detention policy for Classes 1 to 8 in schools saying that the system has adversely affected the studying habit of students as they have no fear of failing in the examinations. He further said that Haryana has made its mark in various spheres world over and that the present state government has been organising Gita Jayanti Samaroh of international level. People from 25 countries have participated in the samaroh during the last three years. He said that this year, programmes of Gita Jayanti Samaroh would also be organised in Mauritius and United Kingdom (UK) and invitation has been received from these countries in this regard, he added. Earlier, speaking on this occasion, Director, Post Graduate Institute of Medical Education and Research (PGIMER), Chandigarh, Dr Jagat Ram described gurukul education as the best education system which aims at the overall development of children. He also stressed the need to include the issues pertaining to human values in the present education system. Director, Panchnad Shodh Sansthan Prof BK Kuthiala said that the Panchnad Shodh Sansthan was set up in the year 1984-85 with an aim to maintain a sense of harmony in the society. He said that at present 32 Shodh Sansthan are functional in Haryana, Himachal Pradesh, Delhi and Jammu and Kashmir where the intellectual wing of the sansthan hold discussions on scores of social , cultural and political issues. Executive president of Panchnad Shodh Sansthan, Dr Krishan Arya threw light on the relevance of gurukul education in the society. He said that gurukul education is based on `guru-shishya’ tradition. Main speaker of the programme was Mukul Kanitkar, who is national organising secretary of the Bharatiya Shikshan Mandal (BSM), an outfit of the Rashtriya Swayamsevak Sangh (RSS) in the education sector. He said that at present more than 4,000 gurukuls are functioning in the country. He said that to implement the gurukul system of education, atmosphere in schools, colleges and universities needs to be changed. Laying special emphasis on the promotion of Sanskrit language, Kanitkar claimed that “the entire world is going to adopt gurukul education in the next 15 years”.